Most people "throw out" their back and think that's why their back hurts, but nothing could be further from this truth. Discover underlying, hidden, causes of back pain-where pain really comes from and how to stop in once and for all fast. Popular treatment approaches like pain medications, muscle relaxants, steroid injections, surgery, chiropractic treatments, acupuncture, and massage therapy may be helpful in relieving pain temporarily, but they often fail to deliver lasting relief because they don't address what's actually causing the pain. 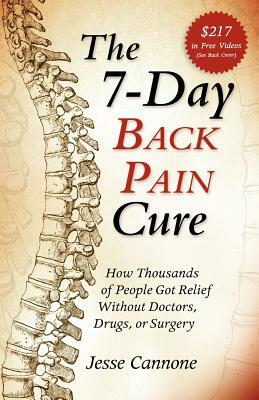 The "secret" to fast, long lasting relief is to focus your treatment on addressing the "hidden" causes of your pain, not just the symptoms, and The 7-Day Back Pain Cure shows you how.